Here are a few Tumblr stats I was able to dig up so far. As with all of my stat posts, this one will be updated whenever I stumble on new and interesting stats. 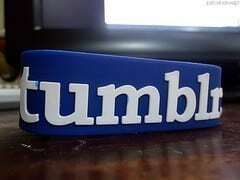 Be sure to subscribe to my site updates and/or check back regularly to see the latest Tumblr statistics. Please note that some of these numbers are easier to find than others. A few of these Tumblr stats and facts come from their own reports, but some are based on news reports and not official company tallies. Basically, this is the best I can find and I don’t guarantee anything to be 100% accurate. I try to go through each and every stat regularly and update as much as possible, but we all know that some Tumblr stats are easier to track down than others. As always, every stat is linked to its original source and has the source date listed. To get your copy of this stat report, click on the button below to purchase it.